The study investigated the hormonal activities of Sida rhombifolia ethanolic leaf extract on micronor induced infertility in female rats. Sida rhombifolia is a shrub from the family Malvaceae. Forty eight (48) female albino rats were randomly placed into six (6) study groups of eight (8) rats each. 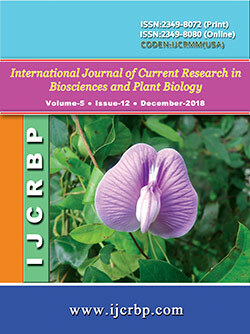 Positive control group (PC) was given clean water and food, micronor control group (MC) induced with micronor but not treated with Sida rhombifolia, Sida rhombifolia control groups; SRC, SRM1, SRM2, SRM3 were induced with micronor and treated with ethanolic leaf extract of Sida rhombifolia at varying concentrations of 100mg/kg, 200mg/kg, and 400mg/kg body weight respectively for 14 days. Phytochemical screening, estrogen, luteinizing hormone, cholesterol and body weight indices were monitored in this research. 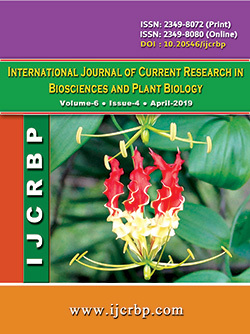 Animals treated with Sida rhombifolia showed significant increase in estrogen and luteinizing hormone level (P<0.05) compared to the micronor control at varying concentrations. All treatment groups showed no significant difference (P<0.05) in cholesterol level compared positive control and micronor control.